Update 2017: I recently updated this recipe to make it a little more robust, and easier to slice/shred. I've reduced the amount of non-dairy milk from 1/2 cup to 6 tablespoons. If you prefer the previous texture, just continue to use 1/2 cup non-dairy milk instead of 6 tablespoons. Thank you! Finally, a beautiful and mild vegan queso blanco for my repertoire. 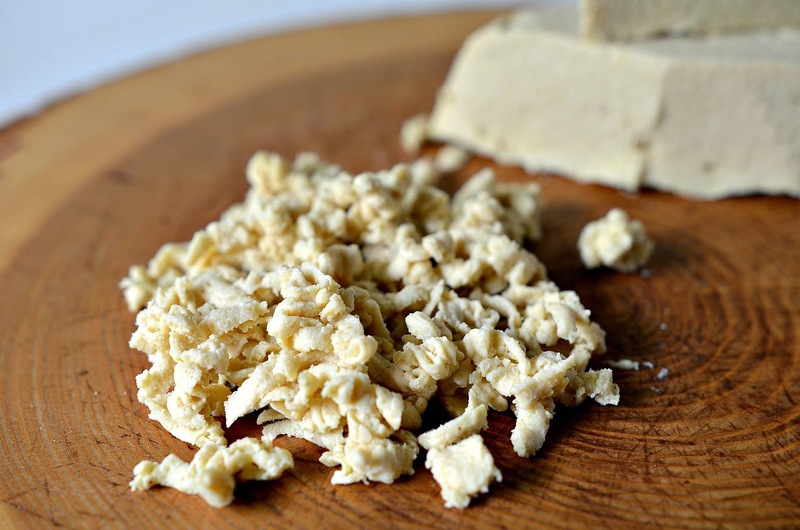 These days pre-made vegan cheese and vegan cheese recipes are a dime a dozen, but here's why I needed my own: I've never really liked cheese - not before I was vegan, and definitely not after. I was the weird kid at the table who pulled my cheese off of pizza (still do), and never ever ate cheese and crackers (still don't.) However - as with most things - there is one exception. I may have always been a cheese hater, but I'm also a Texan and any Texan will tell you that cheese has its place in Tex-mex cuisine. It's often used to cut through spicy flavors while providing a cheesy texture; however, with the exception of queso (dip), I never eat cheese in my Tex-Mex or Mexican food. 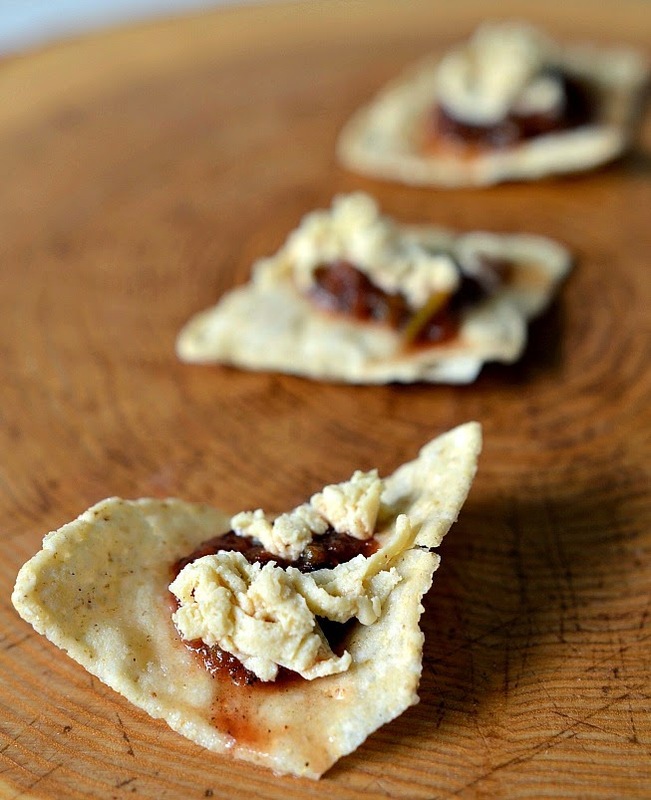 Vegan cheese is often too tangy or strongly flavored for me. I just want a mild cheese on my taco to mellow the spice, and I don't want anything overpowering. 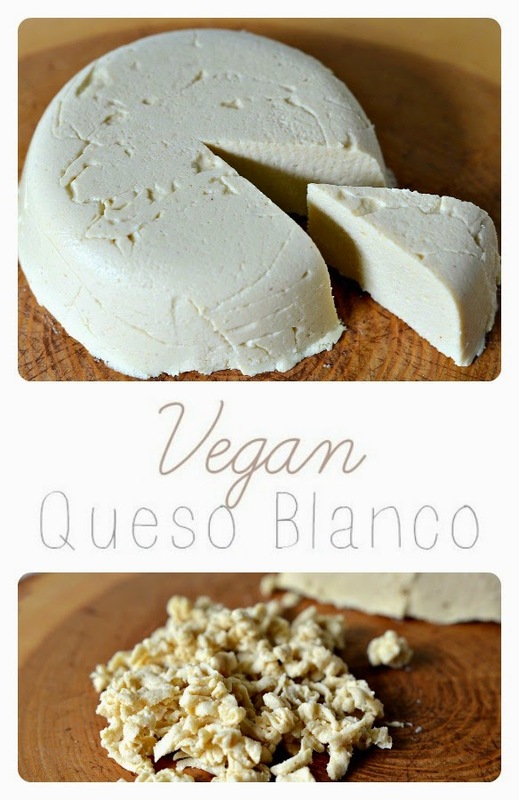 My vegan queso blanco is mild and delicious without overtaking what you're eating. The creamy and rich flavor matches wonderfully with spicy tacos, and it would be great crumbled into soups or salads. I really really love it. It's not overly tangy, it has no weird flavors and the texture is great. You can slice it, crumble it, or spread it. 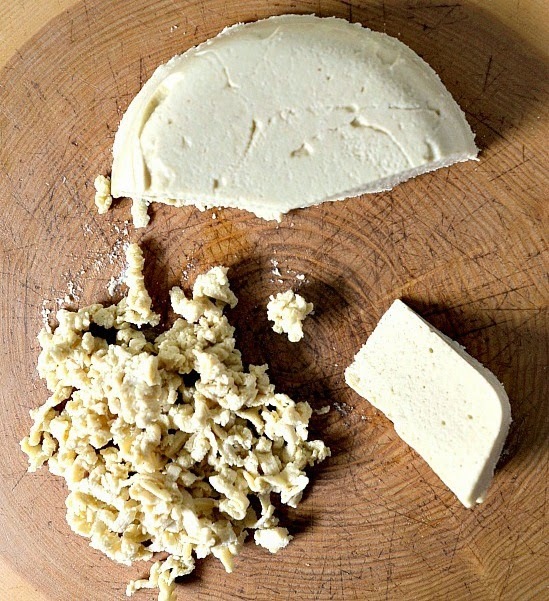 The extra cool thing about this vegan cheese is that it doesn't require any uber-difficult-to-find ingredients nor does it require soaking or any other special techniques. It's pretty easy going. The only ingredient that may give you pause is the agar powder. This is what holds the cheese together and makes it solid rather than a dip. You can find it in Asian markets, health food stores and online. It shouldn't be difficult to track down. 1. In your food processor process the cashews, nutritional yeast, salt, garlic and onion powders until the mixture is powdery. Make sure not to process it too much or the cashews will get too oily and you'll have cashew butter. Leave this mixture in the food processor. 2. In a saucepan over medium heat whisk together the water, milk and agar powder. Whisk continuously until the mixture comes to a boil. The agar powder should be dissolved, and the liquid should have a shiney sheen to it. 3. Add the mustard and agar agar mixture to the cashews in the food processor, and process until the mixture is smooth. Give it a taste for salt. 4. Pour the cheese into a lightly greased small cake pan or a regular sized bowl. Cover it with plastic wrap, and place it in the fridge for a few hours to harden. 5. To remove the cheese run a knife along the edge, and pop it out onto your surface. From here you can slice or crumble it as needed. Store in an airtight container in your fridge for just a few days.